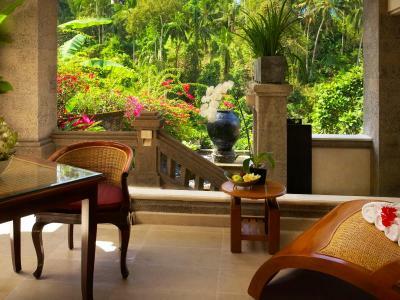 Lock in a great price for Viceroy Bali – rated 9.4 by recent guests! 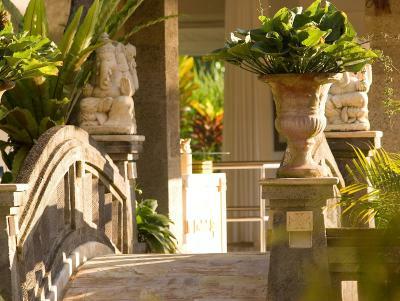 Beautiful view, luxurious rooms, and amazing staff. 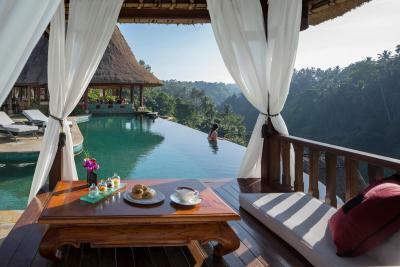 The villa was really nice, especially the private pool, perfect for a honeymoon couple. The staff were very welcoming. Amazing place. Super nice staff. 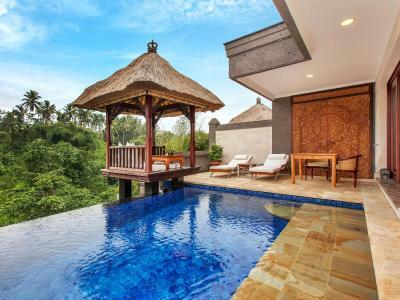 Villas are huge, and you have your own private terrace with pool and a great view!!!! We went there on our honeymoon and they filled our bathtub with flowers and roses as a surprise for the last night. Hotel provides free scooter for travelling around Ubud, and free shuttle to and from town centre. This was definitely the highlight of our trip! 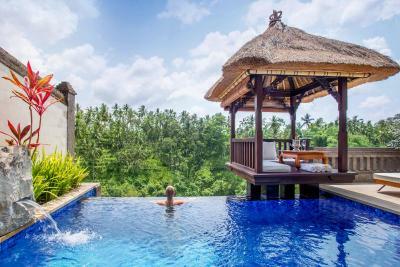 Viceroy Bali This rating is a reflection of how the property compares to the industry standard when it comes to price, facilities and services available. It's based on a self-evaluation by the property. Use this rating to help choose your stay! 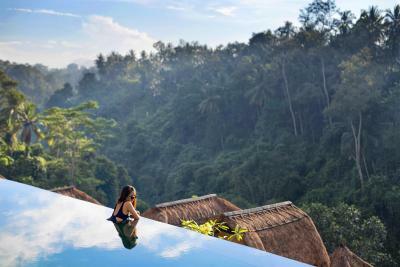 The 5-star Viceroy Bali sits in the highlands of Ubud, boasting luxurious villas with private pools and views of Petanu River. 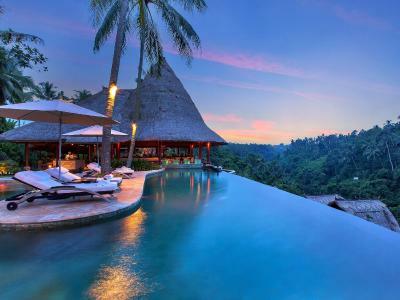 Its main infinity pool enjoys uninterrupted jungle views. 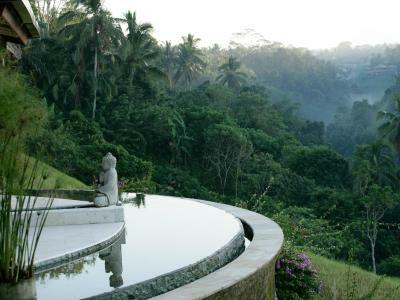 The property is just 5 minutes' drive from central Ubud. 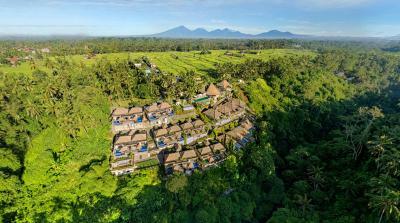 Viceroy Bali provides free shuttle services to Ubud Center are available by request and free WiFi in all areas of the hotel. 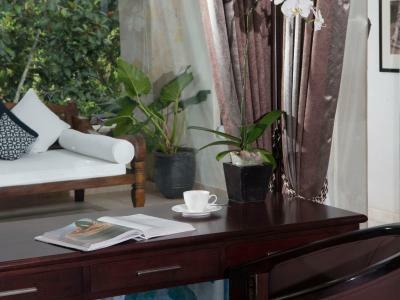 The spacious villas are equipped with a flat-screen TV, iPod dock and an Illy espresso machine. The en suite marble bathroom has a bathtub. 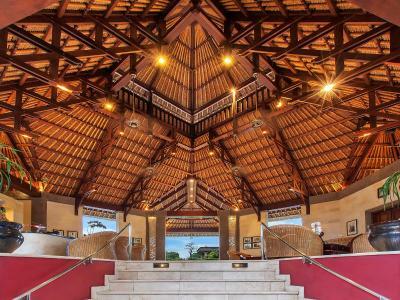 Viceroy Bali is an hour's drive from Ngurah Rai International Airport. 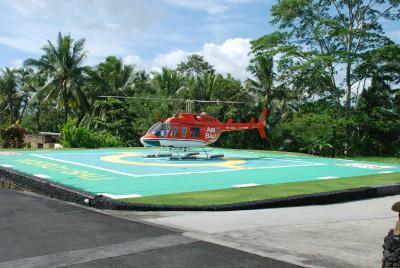 Alternatively, guests can opt for a 12-minute helicopter ride from the property's private helipad. 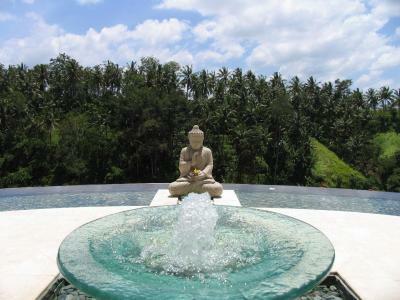 Lembah Spa provides a variety of body treatments where guests can enjoy a spa discount on the stay. 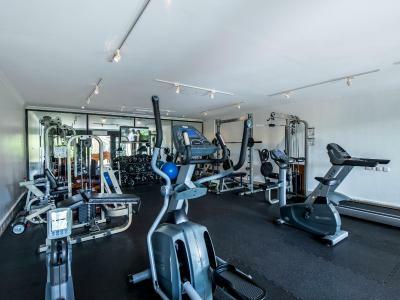 The gym offers private yoga classes and free energy drinks. The library is stocked with books and DVDs. 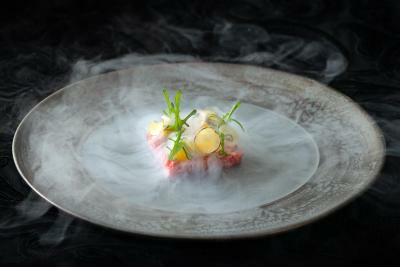 The award-winning CasCades Restaurant serves French specialties with Asian influences. 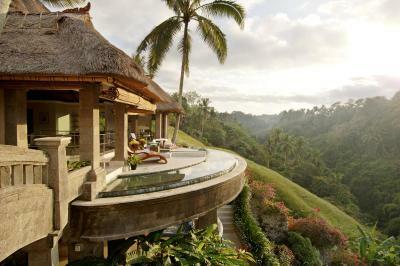 When would you like to stay at Viceroy Bali? This amazing villa features a private outdoor heated pool and a separate living area with dining area. 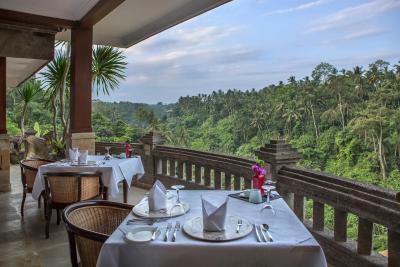 Guests can enjoy spectacular views of the Petanu River gorge. 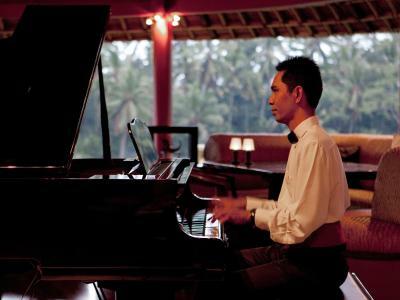 Please note that the complimentary spa voucher values RP 200,000. 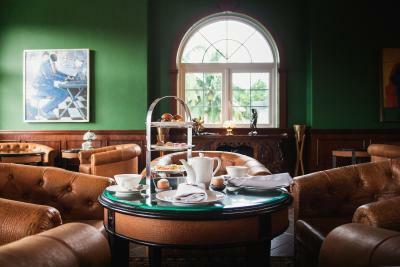 The voucher is eligible for one room and valid only during the stay. 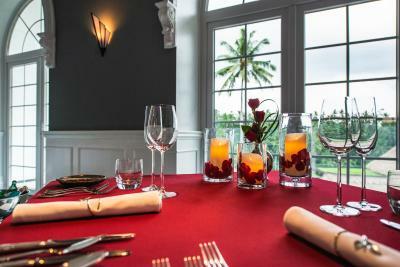 Guests enjoy one-time cocktail for 2 people per stay. 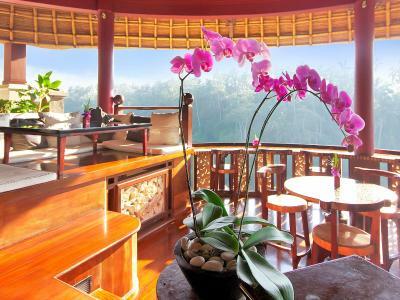 Features a living room with a seating area, iPod docking station and a private Balinese-style pavilion. 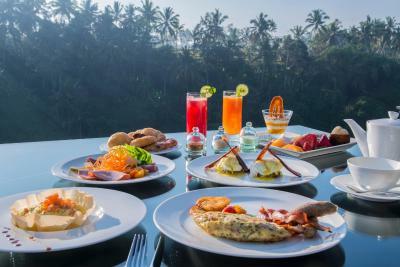 Please note that the complimentary spa voucher values RP 200,000. 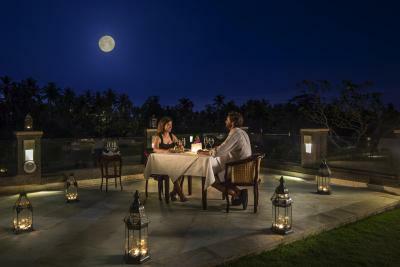 The voucher is eligible per room per stay and valid only during the stay. 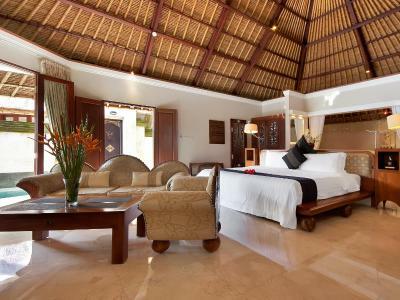 The spacious two-bedroom villa features a private outdoor pool and surrounded by lush garden with a gazebo to relax in. There are also a separate living area, dining area, and private bathroom with shower facility. 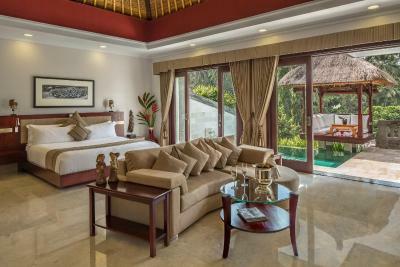 This villa features a sofa, DVD player and iPod dock.This large romantic pool villas with views of the valley, internal and external living areas are also available. This exceptionally large private villa comes with large romantic pool with views of the valley, internal and external living areas are also available. 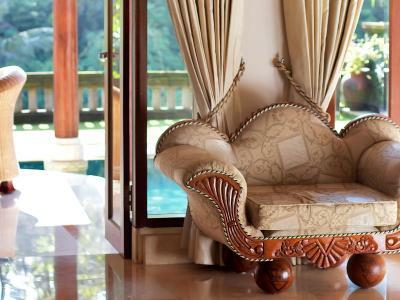 This villa features a balcony, seating area and private pool. This villa has a balcony, satellite TV and DVD player. 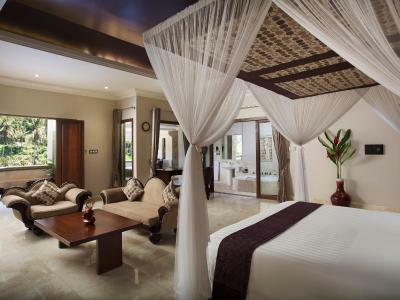 This suite features air conditioning, a flat-screen TV and tile/marble floor. 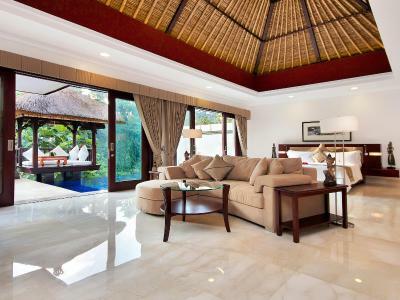 This villa features air conditioning, a flat-screen TV and tile/marble floor. This villa has a balcony, iPod dock and DVD player. 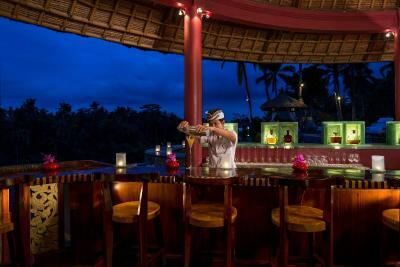 House Rules Viceroy Bali takes special requests – add in the next step! Viceroy Bali accepts these cards and reserves the right to temporarily hold an amount prior to arrival. Food was excellent but not many vegan options! The ACs were split which didn’t match the luxurious decoration of the hotel. Another thing that was a turnoff, we saw cockroaches in the room which was disappointing. The hotel's recommended bike ride to the rice fields was pretty horrible. 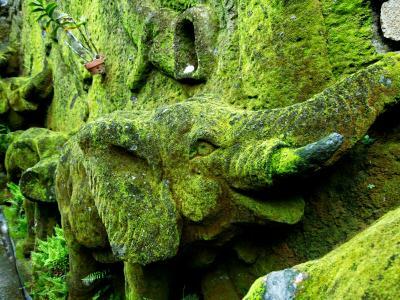 The website said: "your guide will wind you through picturesque rice fields and coconut plantations". What we got was a ~45min-1hr ride on a busy road with a slight incline. There was no biking through rice fields , it was a pretty bad ride on a busy street to a rice paddy that required payment if you wanted to actually walk around. 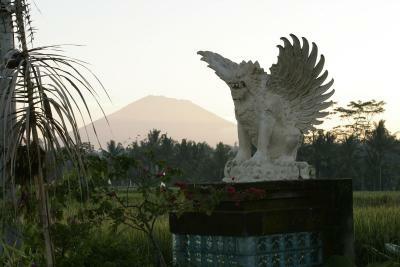 Our guide provided little to no information about Bali or Balinese culture and rushed us to leave. Anything, everything was from another planet! The rubbish outside the property and all over Bali was shockingly bad , and sad that it ruined what could have been a wonderful experience . We wouldn't return because of it. The food at the on site restaurant left much to be desired.